May | 2014 | Portland! I used “raspberry pi for banana pi” which is actually just raspbian with a hacked-in kernel and uboot for the allwinner A20. It extracted as an image file that I wrote with win32diskimager. It requried an 8GB SD card which is too bad because it only uses 2.6GB when installed. I got this thing to be a new samba and transmission-deamon server, as my raspberry pi is a bit slow (4.5MB/s typical samba read/write). 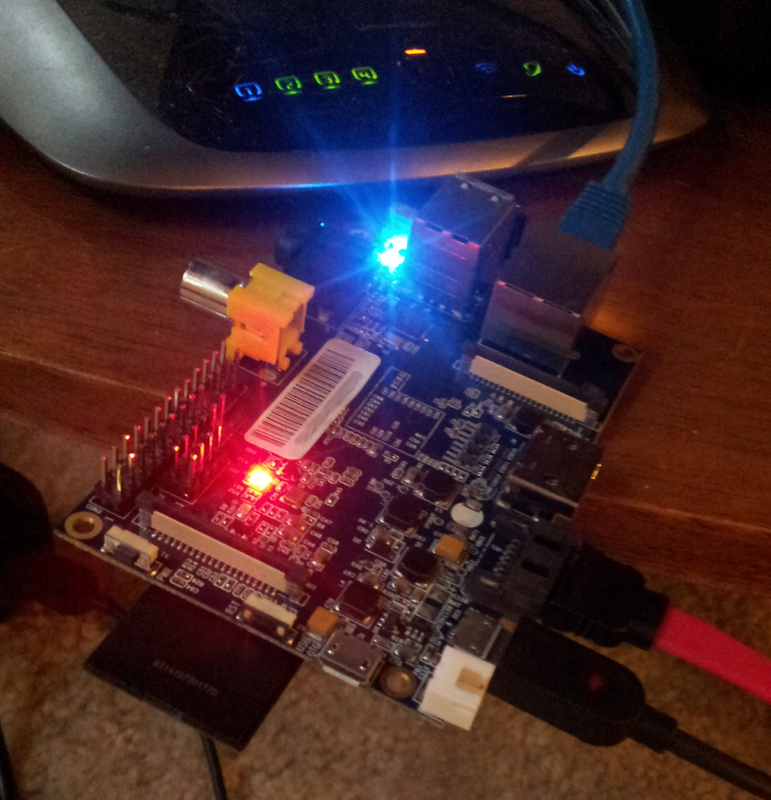 Using a SATA drive formatted to ext4 I’m getting about 22MB/s writes to the banana pi over gigabit ethernet. This is on a drive that can do maybe 25-30MB/s writes locally. It maxes out cpu usage one of the cores so I think it’s cpu-limited and might get a bit faster with some tuned samba options. It’s plenty fast, no complaints, and I’m betting I won’t ever have to pause torrents again just to stream 1080p video like I did on the raspberry pi (as it will have one core for each task). This entry was posted in Uncategorized on 11 May 2014 by larsonm.